Students and parents, just wanted to remind you that on MONDAY THE 17th OF SEPTEMBER, the ALC will NOT be holding classes. Your home high schools will be having an A day schedule and WILL still be holding classes. 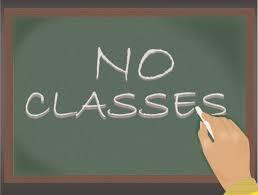 Tuesday the 18th we will resume classes here at the ALC, and it will be a "B" day.